HACCP Training DVD from C.H.I.P.S. 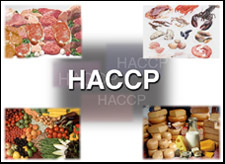 HACCP relates to the food industry and helps identify where potential contamination can occur, monitors these critical control points, and documents procedures to show compliance. This training program illustrates how the food industry has risen to the challenge created by our fast-paced lifestyles by installing a procedure to help reduce contamination that can occur as our foods go from the field to the table. Focus is placed on the part the consumer plays in preventing food-borne contamination. The supplement expands the information given in the video and presents additional facts and ideas. It explains what HACCP is and how the process can reduce food-borne contamination. Also included are sheets to help students create their own HACCP Plan in coordination with the scenario presented in the program. An outstanding educational DVD that includes a supplement!